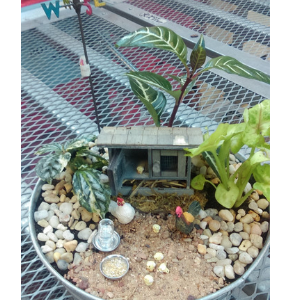 Miniature Farm Garden | Starkie Bros.
Children will create their very own miniature garden complete with 3 foliage plants, a chicken family of 7, chicken coop, feeding troth and a bird house in an 8” galvanized planter. All kid workshops include a fun scavenger hunt. Call us at 516-293-7148 to sign up.